Taurus Hill Observatory | Asteroid 2008 TC3 photographed at Taurus Hill Observatory. 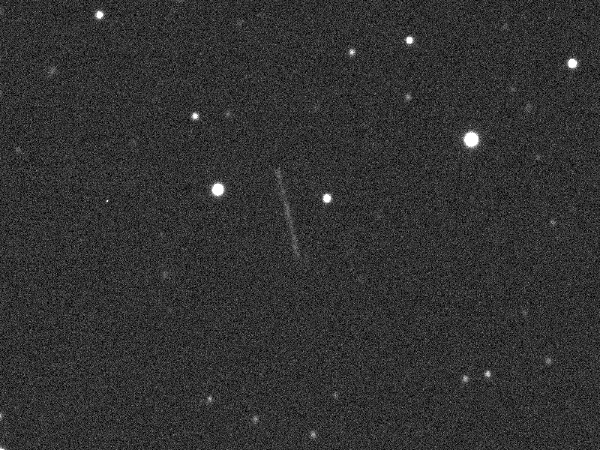 Asteroid 2008 TC3 photographed at Taurus Hill Observatory. Posted October 27th, 2008 by Harri Haukka & filed under Asteroids. 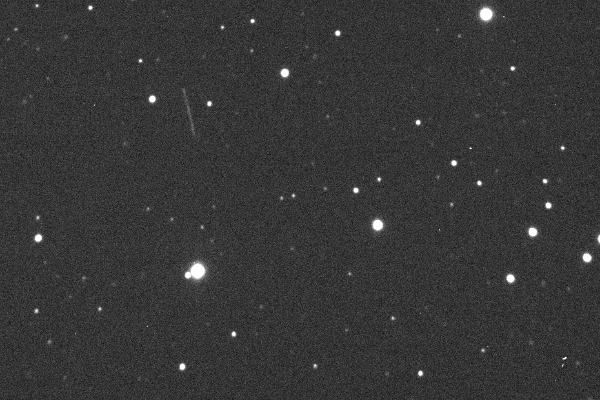 Despite the almost cloudy weather the Taurus Hill Observatory research team member Markku Nissinen managed to photograph the Asteroid 2008 TC3 6./7.10.2008 at Taurus Hill Observatory. This small asteroid hit the Earth atmosphere 7.10.2008 about 6 am. Finnish time somewhere over the Sudan. 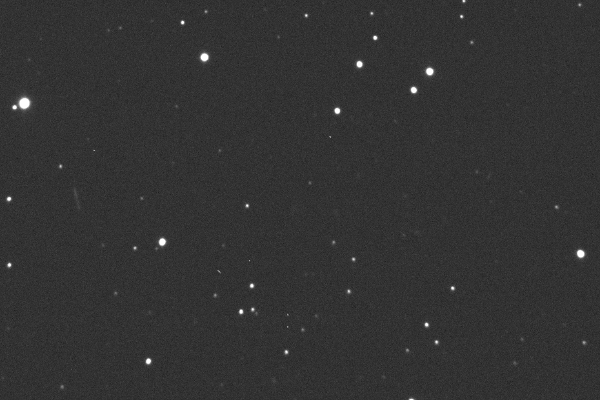 The 2008 TC3 was discovered 6.10.2008 with the large telescopes and it got brighter when it approached the Earth. These photographs are 120 sec. and 90 sec. exposured photographs. Special thanks to mr. Arto Oksanen, who reported the visibility of the 2008 TC3 by the e-mail. Thanks to Arto Oksanen for making the calculations.